Currently, there are two Union Pacific tracks that carry nearly 70 trains per day through Jefferson at speeds up to 70-miles per hour. 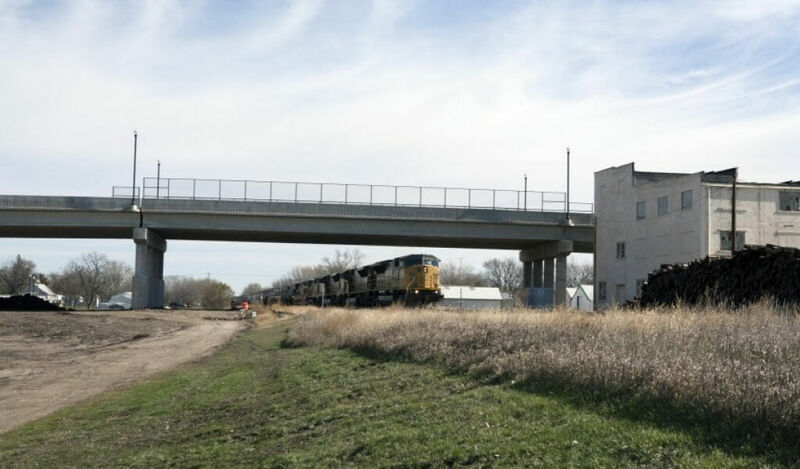 Snyder & Associates performed a feasibility study to determine the feasibility of constructing a grade separation of Iowa Highway 4 and the Union Pacific Railroad in Jefferson, Iowa. 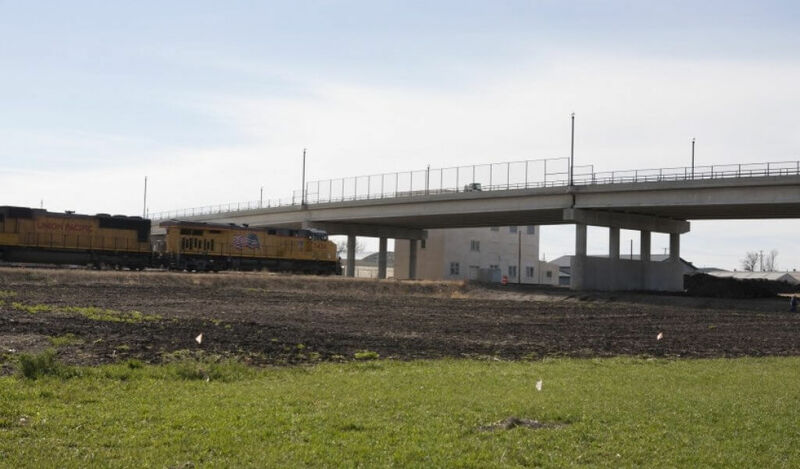 The feasibility study, which included guidance from a steering committee that represented local governments, business owners, and concerned citizens, concluded that a bridge over the Union Pacific tracks at Iowa 4 was the preferred alternative. The project included construction of an eight-span, 1100-foot long bridge over the railroad and McKinley Street. The bridge was designed to accommodate a future third track through Jefferson and was constructed adjacent to a property on the National Register of Historic Places. The bridge foundations were designed to minimize damaging vibrations during construction. The project also involved the construction of an access road system to serve businesses that lost direct access to the highway. Staged into two construction contracts, the access road system and detour route improvements were constructed in 2011 while Iowa 4 and the bridge were constructed in 2012. Snyder & Associates was the primary design consultant on the project and subsidiary Shuck-Britson provided bridge structural design. Services included preliminary roadway design, storm sewer, sanitary sewer, and water main design, right-of-way, bridge design, mechanically stabilized earth wall layout, preparation of categorical exclusion, staging plan, management of public participation, coordination with franchise utilities, railroad coordination, and a corridor improvement plan. Snyder & Associates managed sub-consultants on the project to perform survey, cultural resource investigations, and geotechnical design. Total project cost was $13 million.